Please join us this Tuesday, May 21st at 7pm for an exciting evening at our home at the BMW i Ventures incubator in the West Village @ 95 Morton Street (7th floor). Five innovative start-ups from the urban mobility sector will demo their inventions to try and raise funding from the VCs at BMW i Ventures (ChargePoint, Life360, Embarq), FirstMark Capital (Pinterest, Shopify, SecondMarket), and Lerer Ventures (Buzzfeed, Thrillist, Warby Parker). Join us for an evening of live demos, discussions and networking. DASH turns any vehicle into a ‘smart car’. A mobile utility plus hardware, pulling 200+data points from the car sensors, as well as 100+ social and ambient data points (weather, traffic APIs). It provides real time diagnostics/alerts and historical data viz, enabling the driver to maximise MPG, improve engine performance, gives tips/insights on carbon emissions and offset tools, as well as how to reduce running costs on gas, maintenance and insurance. Currently in closed beta test, the NYC based startup is under the leadership of Micah Kotch of the NYU Poly/EDC/greentech/sustainable initiative. New York based startup founded by designer and entrepreneur David Mahfouda makes sharing a cab more efficient by intelligently connecting riders. The company licenses it’s platform to fleet owners and operators to help streamline operations. Sidecar is an on demand, peer-to-peer ridesharing community which debuted in San Fran and is quickly spreading to other cities nationwide. Using the sidecar mobile app, drivers and passengers can connect in this volunteer donation based marketplace. The company has raised $10m in it’s series A from investors such as Google Ventures, Lightspeed, Lerer Ventured, and Mark Pincus. WiFi-enabled vans get you where you need to go​, with smartphones used to reserve and buy seats. Beta service coming to NYC in spring 2013. The company is based in New York City butalso operates out of California and Israel. Find, book, or pay for a parking spot with your mobile device. eParking USA is a provider of advanced technology solutions for mobile on-street and off-street parking, and interactive parking information. The system shows open parking spots on your cellphone screen or your car dashboard. It directs you to the parking spot, where you pay for your parking time, in assigned parking zones, using your cellular telephone, or as a member it will be charged directly to your account. The investor panel will include Steve Schlafman, Principal at Lerer Ventures, Lawrence Lenihan, Founder and Managing Director of FirstMark Capital, and of course Dr. Ulrich Quay, Managing Director at BMW i Ventures. 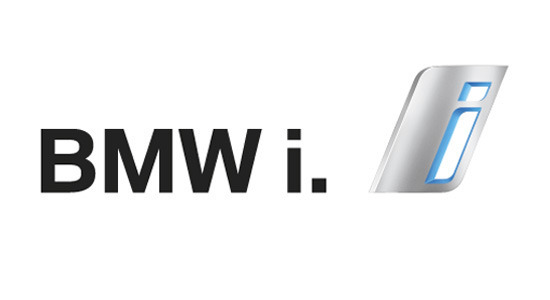 BMW i Ventures brings entrepreneurs, investors, developers and mobility enthusiast together. Register for the free meetup. Space is limited.